Do you need to speak French for a Motorhome trip in France? France has a bit of reputation for being unaccommodating of those who don’t speak French but if you learn a few simple words, communication becomes a lot easier. 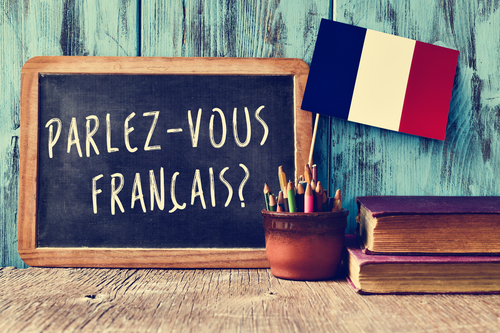 For at least 20 years, English has been widely taught in French schools and a surprising number of people do know more than a few words – the trick is getting them to use them! We find the main reason most French people are reluctant to speak English is because they lack confidence in their English language skills and are nervous about getting it wrong and making a fool of themselves – it is just as uncomfortable for them to try to speak the English they learnt years ago as it is for us to try to speak the French we learnt at school and haven’t used since. Our best advice is not to assume that the person you are approaching will speak English – after all, why should they? We are the foreigners visiting a French-speaking country. Instead of expecting them to help you in your native tongue, perhaps it is best to start by explaining that you don’t speak their language. This simple change almost always makes the person you are trying to communicate with take pity on you and much more inclined to help if they can! So, if you learn nothing else before you come, learn how to say “Sorry, I don’t speak any French” (see below) – with an apologetic smile as you say it. If you speak a little French but lack confidence and are worried about getting a rapid-fire response in French, try learning to say “I speak very little French so please speak very slowly” (see below) to start each new conversation. 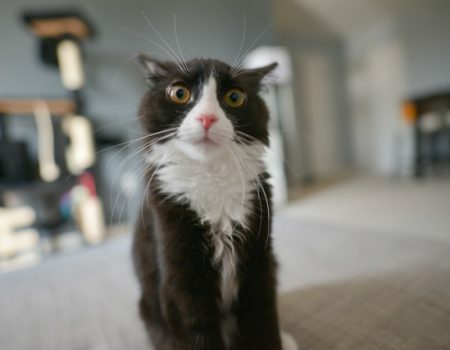 Many French people admit that they are more likely to attempt to try and speak English if they believe they won’t feel foolish stumbling through their rusty English, so it helps to make them believe they are getting it right too with a few encouraging nods. Try not to get the giggles if their English is hilarious either! A few carefully chosen phrases can go a long way to making yourself understood and will hopefully make the other person more responsive too. Combine this with a few key motorhome phrases and suddenly, your campervan trip becomes a lot easier! There are hundreds of handy traveller’s phrase books available to buy which can be invaluable to keep in your pocket while travelling, and the web and apps are great tools to assist with communication too. 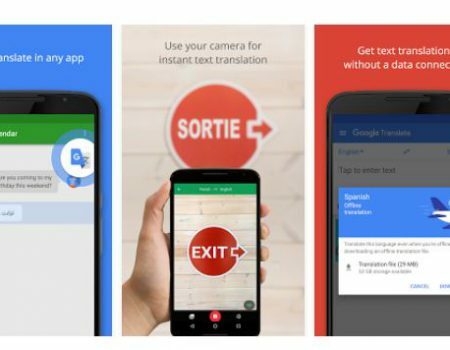 By using a translation tool such as Google (http://translate.google.com/) on your computer or phone you can either translate a few words in advance or translate a word or phrase at the time on your phone and simply pass the phone over to the other person to read if you don’t fancy trying to pronounce it. If really stuck, the nationwide network of tourist information offices (Office de Tourisme) nearly always have a member of staff who speaks English and they are extremely resourceful in helping floundering tourists. You may not be familiar with traffic regulations and road signs in France but most good (English) atlases of France have a glossary showing translations for important road signs etc. Having a printed translation of the most common roads signs to keep in the cab of your motorhome during your trip as a quick reference is a useful tool too. Take a look here for some common ones. Here are some more common phrases and translations you might find helpful for your campervan adventure in France. Is there anyone here who speaks English Est ce que il ya quelqu’un ici qui parle Anglais SVP? Can we eat here Est ce que nous pouvons manger ici? Do you have a place for one night? Avez vous une emplacement pour une nuit svp? Priorité à Droit Priority to traffic from your right. NB. It is essential to understand this rule as it is rare outside France and leads to much confusion amongst foreign drivers. Don’t forget to ask the France Motorhome Hire team to explain it before you set off! These terms are all provided in the hire manual that comes with your RV so you will always have something to refer to if you need it once you are on the open road. Finally, don’t worry if you totally fail to learn a single word before you come. Most of our clients don’t get around to it but even those that tour France and the rest of Europe for months seem to manage to eat, drive, buy anything they need, explore and communicate with the locals then return raving about the hospitality they have been shown. Hand signals and a smile still go a long, long way!